First, let’s go back to a time when Dr. Charles Ersdal was teaching foot zone therapy courses in the United States. During that time, three student practitioners, including me, were pregnant and experiencing wonderful, flourishing pregnancies, which we all attributed to foot zone therapy. I especially valued this experience because all of my previous pregnancies were extremely difficult and I was very sick, but that was not the case during this pregnancy. The only thing I was doing differently was receiving foot zone sessions. Our pregnancies were about 7 months along when Dr. Ersdal taught us that through his many experiences with expectant mothers it was not safe for him to foot zone them because so many women would miscarry. We were all astonished since we were receiving regular foot zone sessions and having the opposite effect of feeling so healthy. We asked him why he thought women were miscarrying when he foot zoned them. He speculated that since foot zone therapy helps bring the body back to a normal line of health, maybe pregnancy might not be a normal line of health. After much discussion, we recognized that part of the normal line of health for a woman is being pregnant. A woman’s blueprint supports pregnancies but the normal line of health for a man’s blueprint does not. Therefore, the possible exchange of the male energy from a male certified foot zone practitioner during a foot zone session may not support a pregnant woman. Those of us who were pregnant and feeling the benefits of foot zone therapy realized that not one of us had been foot zoned by a male student foot zone practitioner. 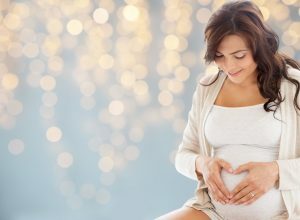 In fact, we realized that the energetic connection between the female student foot zone practitioner and her pregnant client synergized the benefits of the pregnancy. This is not proven science, just speculation from Dr. Ersdal’s experiences versus what we as female foot zone practitioners and our clients were experiencing and observing. In my practice, I have had wonderful success with hundreds of clients who were pregnant. For several years, a large percentage of my sessions were referrals for pregnancy-related concerns. I have had great success for those who struggled to conceive, struggled to carry the baby full term, or for those who had a difficult time with labor and delivery. Over the course of the past 25+ years, certified foot zone practitioners have been and continue to be a great source to women for pregnancy-related issues. Before foot zoning a pregnant woman, it is best to recognize some precautions that may be involved. One particular point of concern is if a potential client who has not had foot zone therapy sessions on a regular basis calls to schedule a foot zone appointment and she is in her first trimester, it is best for her to wait until the second trimester. Many people have toxins in the body and the foot zone helps stimulate the body to release those toxins and to cleanse itself. The placenta is the “gatekeeper” keeping the mother’s blood and the baby’s blood from mixing with each other, yet provides the nutrients, oxygen, and antibodies to the baby through gas diffusion. The placenta takes 12 weeks to fully form, so it is best to wait until the placenta is fully developed to assure the placenta is able to provide all its functions for the baby. The placenta should be developed to the point where it can keep any excess toxins away from the baby, should the mother have a healing crisis after experiencing her first foot zone session as her body is striving to return back to a normal line of health.